Kurt Vonnegut is one of those writers who create books I am always unsure of. Usually when I finish something by Vonnegut, I have to sit back and marvel at his genius. He is also one of those writers I am scared of. Part of me thinks that while I enjoy his writing, I don't get it the way I am supposed to, and that perhaps I am not smart enough to fully "get" his genius. However, I love him and his writing. I have not read as many Vonnegut titles as I would like, but whenever I do, I am always telling myself, "you need to read MORE of him." And I am sure that when I finish this, I will say that again. I just love him and his writing style. I was a senior in college when he passed away. But I seem to remember a few months earlier an appearance he made on the Daily Show with Jon Stewart. He was a funny old man, and somewhat cynical. He has very strong liberal views, but I really liked him. I liked what he had to say and how he said it. He said whatever popped into his head and didn't regret it. Because he was speaking truth and that truth came from a very deep and private part of himself. I admire that. I am also thinking about my first experience with his work-when I read the short story "Harrison Bergeron" in ninth grade. That story has haunted me for years. I even created a unit on it during my student teaching (I never taught that unit, however), and I would love the opportunity to share the power of that story with teenagers one day. I also remember reading Cat's Cradle in eleventh grade and thinking that this man must be slightly crazy, but I was awed at the rubbing of feet in his religion: Bokonism. I also remember staying up late one night reading A Man Without a Country, the only piece of semi-autobiographical work he ever published, and also, one of his last pieces. Up until that point, I never really marked favorite passages in my books. But I spent all night laughing at lines and marking pages with Post-its because I was in awe of his raw honesty. I think I truly fell in love with Vonnegut that night. From the people I have talked to, Vonnegut is one of those writers you either love or you hate. There is no middle ground. He writes things that are meant to push your boundaries and make you feel uncomfortable. 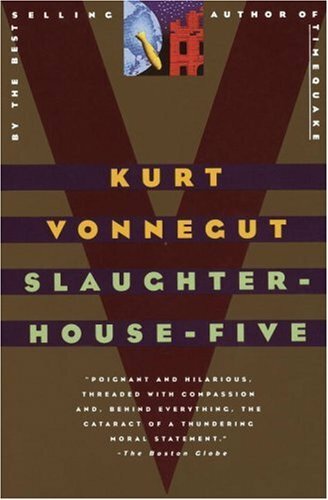 And since many of his great works, like Slaughterhouse-Five were written so long ago, the fact that they still make readers feel uncomfortable is a testament to their power and Vonnegut's voice. 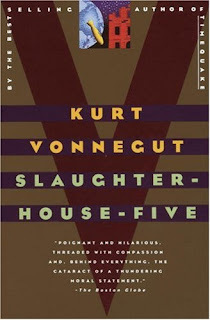 And I love Slaughterhouse-Five and all of its kooky and weird situations. I love the flashes of time and the weaving narrative. I love that it is an anti-war novel that doesn't preach, but shows. And I love that every time I read it I get surprised by the few pictures included....and the deep insight of a man who knew that what he was writing was powerful. So while I may not consider myself smart enough to catch every piece of sly humor Vonnegut throws my way, I am smart enough to understand the power of this novel. I hope I can capture that this time as well. Of all of Shakespeare's plays, there are two that stand out to me as my favorites (so far). The first is a comedy, Much Ado About Nothing, which I read back in September/October. Much Ado About Nothing is a lighthearted fun comedy that really plays up the wit and banter between characters. 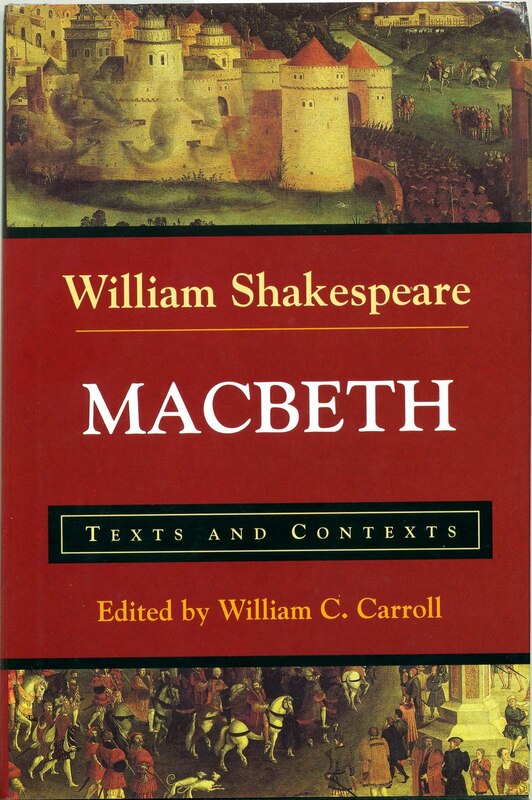 My favorite tragedy, if such a thing is possible, is Macbeth. Since the first time I read it in high school Shakespeare class, I was drawn to the dark and sinister tale of murder and witches. 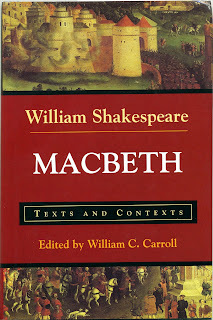 While tragedies like Romeo and Juliet are so wonderfully "romantic," Macbeth is simply dark and creepy. I like that. I like that honesty in the play. I also believe it is one of the more straight-forward of Shakespeare's plots and a great place for beginners to start. The story itself is fairly simple. There is a battle raging and witches appear to make a prophecy to Macbeth. They tell him he will one day be king. Rather than wait and see what happens, Lord Macbeth takes it into his own hands...and well...murder happens. "Double, double toil and trouble, fire burn and cauldron bubble." Hopefully that is familiar to you and now you know where it comes from! Also creepy is Lady Macbeth, who begins to lose her mind near the latter half of the play. The first time I read the play, I physically cringed during some of her scenes. The other thing that really stands out reading this play is that the "hero," Macbeth, is an evil evil man. Where you can sometimes feel for the victims in tragedies in some of Shakespeare's other tragedies (like Hamlet), Macbeth is just evil, and dark, and someone you wouldn't want to run into on a Scottish moor. Anyway, I am looking forward to spending some time with an old friend! Let's see if I enjoy it as much as I have in the past. It is really hard to believe that April is almost over! Where is time going these days? I had a pretty good week in terms of reading. I am still in the middle of the three books at left. While I did my post for The Count of Monte Cristo and the Classics Circuit on Friday, I still have a little left to finish. It is a phenomenal novel and I think i just bit off a little more than I could chew doing it along with a few other things. I am also still working on the second collection of Sherlock Holmes short stories. They have fallen by the wayside in the last week as I have been chipping away at the two big novels, but I really want to get through them by the end of the month. 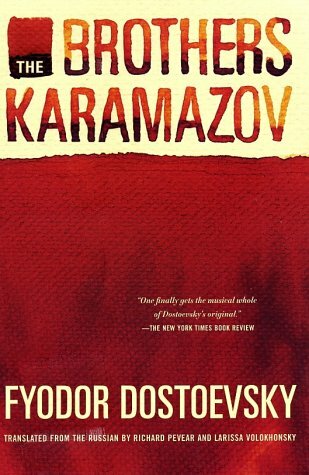 The Brothers Karamazov has been a pleasant surprise and my last post over the 4th part and my feelings about the book as a whole will be posted on Thursday. I will be glad to wrap up all of these books. I find it hard to concentrate on so many different books at once. My mind is going all different directions as I read them! At least with reading the short stories I can settle in with one story in one quick sitting and not be bothered. I did really enjoy the read-along and would love to do more of them in the future. It makes reading the harder books a little easier, since I almost feel like I have to get posts up to meet my commitment. Odd, isn't it? I did join a Paradise Lost read-along with Rebecca Reads. Paradise Lost is another title that intimidates me, so I hope to get through it unscathed. Speaking if intimidating titles, what books scare you off?? Goals for this week are to finish the three books I have in progress: The Brothers Karamazov, The Count of Monte Cristo, and The Memoirs of Sherlock Holmes. First Published/Performed: It was written sometime between 1600 and 1610, and the earliest performance known was in 1611. My Edition: Barnes and Noble Shakespeare (I prefer these over the other editions. They read easier and have great supplemental materials-you can see my edition at left). Other Works Include: Much Ado About Nothing, A Midsummer Night's Dream, Othello, Romeo and Juliet, The Tempest, etc. I would be highly offended if you told me you haven't given Shakespeare a try! I love Shakespeare and I find that with the right edition, it is not as difficult to figure out as you might think. For my challenge, I am reading a whopping 16 plays by William. I have already completed 2-Much Ado About Nothing and The Winter's Tale. I have read a great deal of Shakespeare's work in the past, in college, high school, and on my own. So far in my personal challenge I haven't picked up a Shakespeare play that I haven't already previously read. 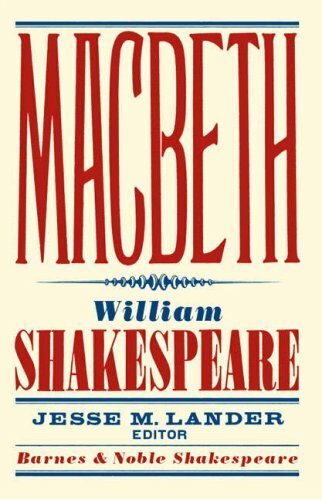 This will be my fifth or sixth time reading Macbeth, and it has always been one of my FAVORITE Shakespeare plays. It is very dark and sinister and I LOVE the witches. Before I wrap this up, I just want to mention a couple things about reading Shakespeare. People have a great misconception that Shakespeare is difficult. While yes, his language is tricky, he is not as difficult as you may think. With his plays, it is more important to get the big scheme of things rather than get caught up on every individual word. With that being said, you can buy great editions of his plays that have footnotes and information to help you. I think Barnes and Noble has done a great job with theirs. I also really like No Fear Shakespeare and Folger's editions as well. They are great places to start! I have a very deep love for Edith Wharton. I am not really sure what exactly draws me to her writing, but I love everything I have read by her (which is pretty much everything, excepting a few novels that are more difficult to find). My first experience reading any of her work was back in my senior year of high school, when we were assigned to read Ethan Frome on the first day of school. While I didn't love that little novella then, I gave it a second chance and adored it. Since then, I have read it over again almost every year and each time I read it, I find something new to love in Wharton's prose. She is a writer I truly admire for style and depth. Her stories always find a way inside me and linger. I am reading a number of her novels for this challenge. I already finished Ethan Frome back in January, but I also have The House of Mirth, The Age of Innocence, and still left to read. The Glimpses of the Moon. Summer, a much smaller novel(la), is one that didn't make the cut, but I wanted to feature it anyway. It is a significantly different novel than many of Wharton's other works. She very often writes about the well-to-do and upper society. In The Custom of the Country, she discusses at length the means in which many people make their way up in society, which is, the custom of the American country, otherwise known as the American Dream. And while she does focus on the upper class quite often, she really likes to torture her characters. If anyone has read The House of Mirth, you know what I mean by that. Unlike those society novels, Summer takes place in the country. And instead of having a rich young woman as the heroine, we have Charity Royall, an adopted daughter of the "mountain people." She is an uneducated woman, but works in the town's library. It is there that she meets Lucius Harney and falls in love. The novel focuses a lot on their love affair, and Charity's awakening as a sexual woman. She discovers what love is and what it means to be a woman. Obviously, things don't go well for Charity (I don't want to give away the plot). It is a wonderful novella and strikingly different than Wharton's other well-known novels. If you haven't given Wharton a try, I definitely suggest this, but in my opinion, anything by Wharton is well worth it and excellent! It really shouldn't be a surprise to anyone that I really loved Wilde's novel about the dark and evil Dorian Gray. In my last post, I talked a lot about the creepiness of the picture, and debate between youth and beauty. Now that I have finished it. I can totally agree with everything I have already said. The novel discusses, at length, the whole idea of whether it is better to be young and beautiful, or old and wise. I mean, is there really a problem with developed some small wrinkles as you get older? For myself, I have always seen wrinkles as a sign that someone has lived a long and happy life. I had a friend in college who didn't smile or laugh often because she didn't want smile and laugh lines on her face. Personally, I smile and laugh a lot. That is what makes life so great. I hope when I eventually have grandchildren they can look at my face and say, "Wow, Grandma had a happy life." Anyway, Dorian Gray doesn't want any of that, so he remains eternally young as his portrait ages. And while I don't necessarily want to wake up with gray hair tomorrow morning, I don't mind hanging onto my youth while I have it. I have been told I have a baby face and people never think I am as old as I am, and I constantly get carded when I go out with my husband, even though he is younger than I am. Again, I am not complaining, but I don't mind getting older. I can see, especially in today's day and age of plastic surgery and botox, how we can change the way we look as we age. I have seen those women who cannot move their face to show emotion because of the amount of botox in their face. And we have all seen how celebrities bow to the image they are supposed to portray. These are the kinds of issues I would love to talk to students about, and this novel lends itself perfectly to that discussion. Perhaps one day I'll get the opportunity to teach this. 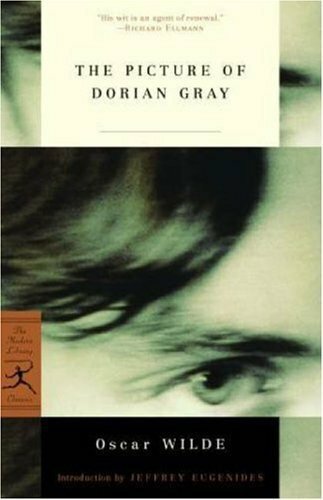 I think it would be fascinating to see how teenagers view Dorian Gray and the world around them. Well then. 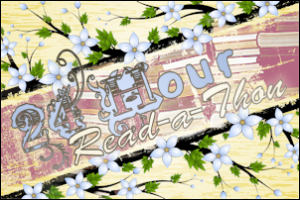 I missed blogging like crazy this past week, and reading. Again, I am so sorry that I went missing for a little bit, but I had some other obligations that took up a lot of time this past week. It takes a LONG time to fill out multiple online applications, but they are finally finished and we are waiting to see what happens. I barely had time to check my e-mail, let alone get posts up! But, I have a big back-log of posts ready and waiting to go up (I am behind about 6/7 books from what I am currently reading), but they'll gradually go up as they always do. And I had been doing so well and had caught up so I was only 1 book behind. What can I say, life gets in the way sometimes. Anyway, you can look forward to some great things in the near future. I have another The Brothers Karamazov post coming up on Thursday, as well as being the home of the Classics Circuit on Friday. Both should be wonderful. Since I didn't do my Sunday Salon post, I'll just let you know that I haven't done a whole lot of reading in the last week. Even though I only had a small chunk of Persuasion left after the read-a-thon, I didn't finish it until Sunday. 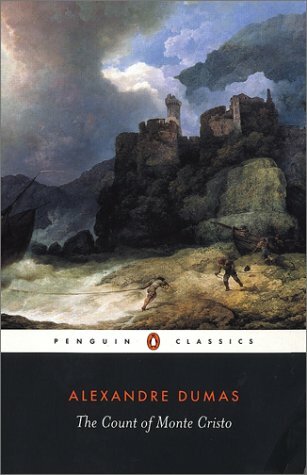 I have also been working my way through The Count of Monte Cristo for Friday's post, but I highly doubt I will also get through The Three Musketeers by then as well, like I had planned. Oh well, life happens. So look for new posts that will start going up tomorrow! I look forward to catching up on all of your wonderful posts! As I said in a previous post, I am reading The Brothers Karamazov by Fyodor Dostoevsky with a group of other bloggers. It is being hosted by Dolce Bellezza, who is also providing links to all of our thoughts. We'll be posting every Thursday in April about each part we read that previous week (4 parts in the book). You can read my review of the first part here. While I really enjoyed the lively feeling of the first part of the novel, it seems to have taken a turn in the second part. Alyosha is waiting for the death of his Elder and his family life seems to be crumbling. The second part is set up into 3 more books: Strains, Pro and Contra, and The Russian Monk. Where the second part begins with Alyosha trying to make amends and essentially being the errand boy for his family, the novel takes a different turn into a lot of religious and philosophical talk. It also focuses a lot on the life of the Elder, Zosima. I had a hard time concentrating once it got to that point. As a general rule, I avoid anything that seems to be overly philosophical because I personally cannot stand reading that when I am in the middle of the story, so it was hard to concentrate and keep going. I am an action kind of a girl and I found that the novel seemed to slow down once it hit that mid-point. However, I am still loving the novel as a whole and I am curious to see what happens next (and I don't honestly know. I don't know the story at all). It opens with Alyosha running the errands he promised his family the day before. His father is still home nursing his bruised and battered head (fault of Dmitri). Ivan is trying to play up to Katerina, and Dmitri seems to be missing (temporarily). We learn in the beginning that Zosima is on his death-bed and that Dmitri seems to have embarrassed and hurt a man in town sometime before the novel begins. Alyosha finds this out first hand as he is hit with rocks from the man's son. I just have to say that the part with the man and his son really touched me when I read it. It struck me more than anything else I have read so far in the novel for its honesty and beauty. The son's pride and honor for his father are inspiring, and not something I have ever seen in my life. "Let each of you keep close company with his heart, let each of you confess to himself untiringly. Do not be afraid of your sin, even when you perceieve it, provided you are repentant, but do not place conditions on God. Again I say, do not be proud. Do not be proud before the lowly, do not be proud before the great either. And do not hate those who reject you, disgrace you, revile you, and slander you. Do not hate atheists, teachers of evil, materialists, not even those among them who are wicked, nor those who are good, for many of them are good, especially in our time," (164). I love that passage. It speaks true in all aspects of life and I love that it preaches in a way that we can all understand. "It’s still possible to love one’s neighbor abstractly, and even occasionally from a distance, but hardly ever up close,” (237). These two statements are a direct contrast to what Zosima was saying at the beginning. Ivan seems to be that gloomy sort of fellow who is there solely to fulfill that role of contrast, but I like him anyway. Anyway, the second part leaves us with no knowledge of where Dmitri is. All of the women seem to be losing their minds, or at least prone to crying and being silly. Ivan is gone on a trip for his father. Alyosha is still serving the role of trying to fix the mess, given his position. Their father, Fyodor, is worried that if Grushenka does become his lover something will happen to him. The servant, Smerdyakov, is worried to leave Fyodor alone, and suspense is building. I have a feeling I know what will happen next, but I'll wait until I get to that next glorious part! I have been beyond busy the last few days. So busy, that I have not had time to schedule in my posts, or visit many blogs. If you recall, I mentioned I was going to a job fair yesterday. I went and it went really well. Matt and I had planned on talking with most of the out-of-state districts we were interested in and seeing what would happen. I really wanted to walk away with a job offer, but alas, it seems as though the days when districts would hand out contracts like water is long behind us. With that being said, I had some great interviews with some wonderful districts from all over the country. I finally felt like I found some places that would have the opportunities and environment I crave as a teacher. Now I am filling out online applications, researching getting my certifications up to date, as well as researching the areas we are considering. It is a huge step for both of us, since we have always lived near family. We both think that it is time to step away, get out of Michigan, and start over where we can both grow and prosper. I am excited to finally, potentially, have my own classroom and to teach again. I miss having teenagers in my life. I love teaching and the joy and struggle it brings. You never know what you are going to walk into, but I love helping students reach their potential, and seeing them grow and learn. So, I have been busy. You will hopefully see a post from me tomorrow night on The Brothers Karamazov after I get off of work, and I will try to get some more things scheduled in for Friday. I hope to be back visiting all of your wonderful blogs in the very near future. I feel like I am missing out on all of these wonderful books you are reading! However, these applications have to come first! 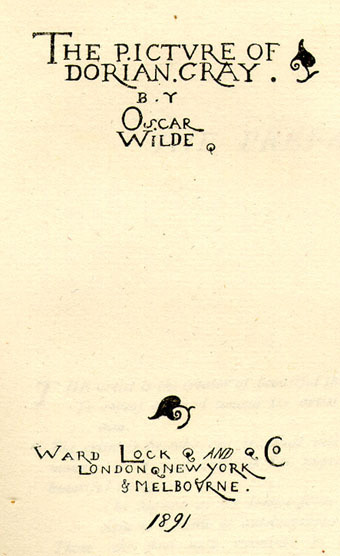 Book 35: Oscar Wilde and The Picture of Dorian Gray. One of the things that I love about this challenge is that I am also getting the opportunity to learn more about the authors I am reading. A main goal when I decided to do this was to also research the lives of the people who's work I was reading. Many of the things I have found out are things I already knew, but I still get surprised. I think it is important for readers to know about the lives of the authors they are reading, especially for classics and older books. There is a reason why these books have made lasting impressions on generations and it will serve us all well to remember that. 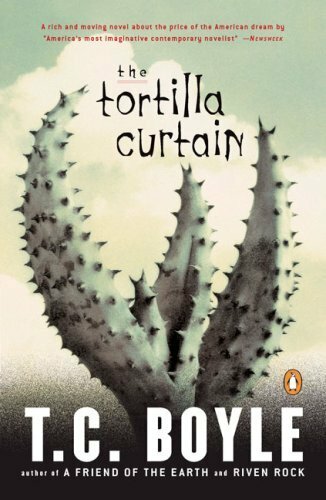 In many cases, the story surrounding a classic novel is just as memorable and wonderful as the novel itself. 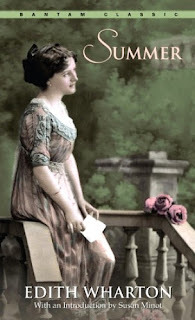 Now, stepping off my soapbox, I want to talk a little about Oscar Wilde. Truth be told, I don't know a whole lot about him, but the things I have learned researching him are truly fascinating. 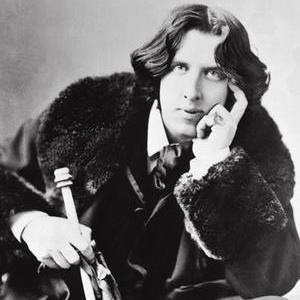 Oscar Wilde was well-known for his social satires and his position on a lot of issues. In particular, he was very adamant about the importance of art on life. For Wilde, art could help us learn to live our lives in a better way. I agree with him. Since undertaking this mission, I have learned a lot from these author mentors. Their art is their writing, and from their words I have learned a great deal about life, love, and the people I encounter. More interesting is Wilde's personal life. While he was married with children, Wilde was well-known for being with men. In fact, that subject comes up in many of his plays, and is hinted at in The Picture of Dorian Gray. Back then it was much more of a scandal than it is today, and caused some awkward situations publicly. Wilde was also imprisoned for some time, as well as being involved in a few different court cases. The details are fuzzy to me, but I think that kind of past only makes him more intriguing. No wonder he is as well-known as he is. I believe that the publicity of his private life made him even more famous than he was to begin with. We are all fascinated by the things celebrities do and say in today's world. Some of the things that hit the news are shocking and hard to believe and the world is simply in awe. I can imagine that Oscar Wilde's affairs were similar way back then. He is truly a fascinating man and I would love to pick up a biography in the future to learn more. Anyway, off to read and see how his personal life influences his art, and how that, in turn, influences me. Oscar Wilde is mostly known for his plays, essays, and social satires. He is probably one of the more famous playwrights of his era. The Picture of Dorian Gray is his only published novel. I have read quite a few of Wilde's essays and stories. I also had the privileged of seeing The Importance of Being Earnest in college performed by a theater group. I have never read his only novel, but I can only imagine that I am in for a huge treat. 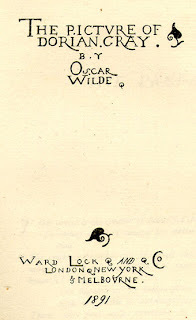 This will be the only piece I read by Oscar Wilde for my challenge. My eyes are still feeling a little heavy after reading so much yesterday, but let's give this post a go! Things are going to get a little crazy around here this week, and I doubt I will get much of anything done before Tuesday. On Tuesday Matt and me are heading up to Michigan State for their annual Teacher Recruitment Fair. Every year school districts from around the country and Michigan go to meet with new grads, and old alums like me, and see if jobs can be found! The last two years I focused solely on talking with Michigan schools, since we didn't want to move. This year, however, we have both come to the realization that Michigan is floundering and there aren't very many teaching jobs. We researched all the the out of state districts and have a list of our top districts (mainly in Colorado). Our only criteria was that there was a university or college within driving distance! Anyway, Tuesday should be an exciting day and I hope that I come home with good news...and a job contract! After all the excitement of Tuesday, I do have some grand reading plans! Finish Persuasion by Jane Austen: In all reality, I should finish this today, since I only have 60 or so pages left. It will make good bedtime reading tonight. Read/Finish The Count of Monte Cristo and The Three Musketeers by Alexandre Dumas for the Classics Circuit. I keep putting these off and I need to finish them both! Read/Finish Part 2 of The Brothers Karamazov by Fyodor Dostoevsky. I read another 100 pages yesterday in the read-a-thon, but I still have a chunk to go before Thursday's post. Well, with all of that being said, I am going to go make breakfast and eat before I leave for work! Lydia at The Lost Entwife is hosting this challenge, which I really want to win! The idea is to name a book we would love to see made into a movie and then cast one of the characters! 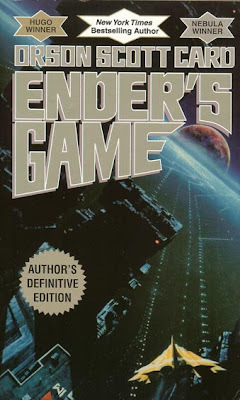 Anyone who has been around my blog long enough knows that I love Orson Scott Card, as he was the reason I began to read so much science fiction. His classic, Ender's Game is a book I would LOVE to see made into a movie. In particular, I would love to see the character Petra played by Dakota Fanning. I think she would do an excellent job in that role and it would be something completely different for her!! After making my last post, I decided I needed a small change of place. I needed to rest my eyes a bit, since all that reading in the booth seems to have tired me out. So, I took an hour and a half break before diving back into reading it. I feel more refreshed, but my 3 am wake-up call is starting to wear me down. I don't know what I was thinking and I really want to push through until 3 am, but I am not sure how I am going to manage to fit off the heavy eyelids. Anyway, I tried to get into Heart of Darkness. But, it was putting me to sleep. I stood and stared at my bookshelf for a bit before deciding on The Call of the Wild. It is short, so I hope to finish it within this coming hour. Now it is back to finish the 100 or so pages left (I've read another 50 total) in The Call of the Wild before starting something else-perhaps The Count of Monte Cristo. I just got off work and made it home. I have been awake for over 13 hours, but haven't gotten to read for all of them! At work, I managed to banish myself to the booth to sell permits for 3 and a half hours. During that time period, I finished both The Adventures of Sherlock Holmes and Slaughterhouse-Five. I also started The Memoirs of Sherlock Holmes. That amounts to about 250 pages! I am pretty stoked! Silver Blaze (This one is from The Memoirs of Sherlock Holmes). I was incredibly productive, while still selling passes to the lovely park patrons. I really enjoyed the stories. They were short enough to read in spurts, and a huge contrast to finishing Slaughterhouse-Five. Right now I am going to go grab something quick to eat and nestle in with The Brothers Karamazov. I would love to get the next part done in anticipation of Thursday's post. 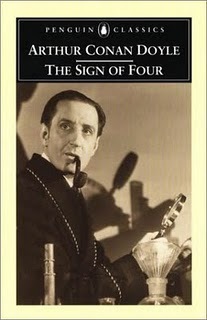 The Sign of Four (I have also seen it as The Sign of the Four), is the second of the Sherlock Holmes novels, and the second large publication featuring the sleuth. Like the first novel, this gives more insight into the relationship between Holmes and Watson, his ever present side-kick. I will tell you from the beginning that I loved this novel more than the first one, which I also rather liked. The mystery was complex and interesting, and the story didn't break away halfway through like it did in A Study in Scarlet. You also have, for the first time, a female in distress, who seems to have captured the heart of our dear Dr. Watson. This really through me for a loop, since I always pictured the two men together, bonded for life. It seems as if a female enters somewhere, and I don't recall a female with Watson in later novels and stories that I have read. Interesting. The novel itself seems a little spookier than the first, and also gives more graphic descriptions. Our female heroine lost her father at a young age mysteriously, and in the years since, has been informed via letter that she is heir to a large fortune. Whoever sent the letter then continues to send her one large a valuable pearl a year, until after 6 six years she is finally told to come and meet him face-to-face. This is where she employs the help of Holmes and Watson, and where Dr. Watson becomes smitten. As she is filled in on the details of the treasure she is entitled to, a murder is discovered and the mystery unfolds rapidly. I liked that the novel didn't break away like the first did, to give back story, but that the history was woven into the telling of tale to the characters. 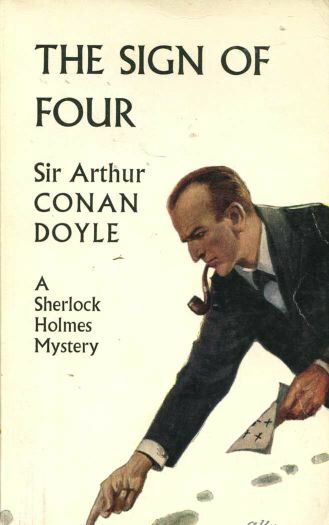 Doyle did a much better job of educating the reader AND Holmes at the same time, so that there remained a connective thread throughout the narrative. That definitely helped maintain the suspense. One thing that I have come to love is how Holmes always outwits the police detectives and inspectors. So often the police detectives come to logical and obvious conclusions in the cases Holmes is also investigating. They obviously want to find the clear and reasonable ans wer, which I think is understandable. But Holmes always challenges himself to think outside the box and look at everything that might be a possibility. After all, that is why he is Sherlock Holmes. The reader also learns about Holmes mastery of disguises in this novel. He shows the ability to transform himself into other identities to help investigate his mysteries, which is something I don't recall from my other readings of Holmes' stories. I do need to talk about Dr. Watson for a moment. He is just as important as Holmes in these novels, since he is the narrator. He asks the questions we would ask, and says the things we are thinking, so he is a necessary part of the story in order for the Holmes novels to work as they do. However, like I said above, Watson became smitten with the female in distress (Mary Morstan) and eventually proposes to her at the conclusion of the novel (That it not really a spoiler. Watson has two wives throughout the Holmes series). I find Watson's little love interest, as a side story, irritating. I thought it distracted from the power of the mystery and that Watson was kind of a jerk for falling for this girl who just realized she may be heir to a treasure. With that being said, I had no idea before reading the series that Watson gets married, let alone two times. I always had this impression that Watson and Holmes were inseparable friends who always remained together. But, just as we think we know a lot about them, they change on us! Anyway, this was an incredibly enjoyable, and fast-paced mystery that I absolutely loved! These Sherlock Holmes novels are packed with action and suspense and are simply fun to read. The blogging world is insanely dead this morning. I think I am the only living, breathing person out here. Even in the apartment...well, Matt is still passed out asleep and the kitties are meowing at me like crazy, trying to figure out what I am doing up so early. 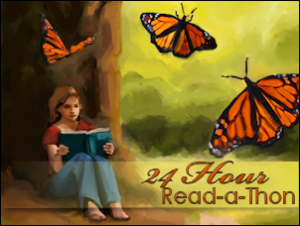 I wanted to make a post as a head's up, that YES, I am participating in the read-a-thon. I signed up quite some time ago, before realizing that I am working an 8-hour shift on Saturday morning. Even so, my job easily lends itself to picking up a book (I work at a park and I can very easily banish myself to the booth to sell permits, which gives lots of time for reading). I have some posts planned for the time when I am gone, but once I get home (around 4:30 or so), I will be reading straight through midnight. I am also planning on waking up early Saturday morning to get in a few hours of reading before work. I even planned out my Friday night after work to make sure I could get enough sleep to do so! I am hoping to be super productive and get a lot of reading done that has been sitting around. If you haven't noticed by the pictures at left, I am in the middle of a number of different books, and it is driving me batty, since I don't usually do that. I want to get it back down to two (The Brothers Karamazov and something else) to keep myself sane. Finish Slaughterhouse-Five. I started it last night, and might very well finish it tonight, but if not, it will be finished then. Finish The Adventures of Sherlock Holmes. It is a collection of short stories, so I should fly through them. Read The Memoirs of Sherlock Holmes. Again, short stories, which lend themselves easily to reading. Start Heart of Darkness. Finishing this, as well as the Vonnegut title, will finish up the LOST challenge. Perhaps start The Count of Monte Cristo in anticipation of the Classics Circuit stop at my blog on the 23rd! You can probably also plan on seeing posts about the following titles, which have been sitting in limbo for a week or two, waiting for an opportunity to be posted (if you don't know already, I am usually a week or two behind in posting my book reviews. I write them when I feel like it, but schedule them to post the next "open" day). Anyway, Saturday will see a multitude of posts, so don't be scared off! And if you are thinking of joining the read-a-thon, you definitely should. I only read for a few hours during October's event (I was very new to book blogging and wasn't sure what was going on), but I loved the community feel of it. It is a great way to meet new bloggers! On Sunday, I mentioned I was taking part in a read-along of Dostoevsky's The Brothers Karamazov with a group of other bloggers. It is being hosted by Dolce Bellezza, who is also providing links to all of our thoughts. We'll be posting every Thursday in April about each part we read that previous week (4 parts in the book). This is my second experience reading Dostoevsky. I read Crime and Punishment back in September as my second book. I thought it would be good to get it out of the way and I managed to survive pretty easily. However, when it came down to reading any more big Russian heavyweights, I seem to be panicking. I haven't even thought of the huge Tolstoy volumes, so when this opportunity presented itself, I jumped at the chance. When I started reading last week, I had a crappy edition of the book. Now, I have nothing wrong with purchasing inexpensive editions of most of the classics. For the most part, if the title was originally written in English, no matter what price you pay the quality is nearly the same. You just might get different introductions and notes. However, for translated works it is completely different. So, imagine how frustrated I was when I didn't find any of the passion in this as I did when I read Crime and Punishment. I ended up towing my Borders coupon and my Borders rewards to the store to get a new, better copy. I ended up purchasing the Pevear and Volokhonsky edition, which has a great reputation, and I am not disappointed. I have learned my lesson: Sometimes it is better to pay a little more. I love Dostoevsky's humor in writing. I find that it really comes alive in this book. The narrator seems to just know everything about anything Karamazov, which I find entirely humorous. While exploring the history of this somewhat dysfunctional family, the narrator still manages to make it all seem very real and human. Dostoevsky begins the novel by explaining the history of the family, starting with the father, Fyodor Pavlovich. He is described as a seedy fellow, who married twice. Both wives died after leaving him male children. His first wife gave him a son, Dmitri (Mitya), who eventually turns into a ruffian. His second wife bore him two sons; Ivan and Alexei (Alyosha). Ivan is kind of a surly fellow, atheist and seemingly well-learned. Alyosha is devoutly religious and we find him in adulthood living at the monestary. Each of the three boys are distinctly different. Mitya seems to be a womanizer of sorts and is caught between two women-Katerina Ivanovna and Grushenka. While he is engaged to Katerina, he would rather be with Grushenka. Unfortunately for him, his father also has the hots for Grushenka. In addition, it seems that Ivan is in love with Katerina (and you thought Stephenie Meyer's love triangles were ridiculous). Poor little Alyosha is caught in the middle of this mess. As the youngest son, it seems he is also the only one who has some semblance of right and wrong and of morality. We get to see who he is learning from partway through this first part when the family turns to the Elder at the monastery for help resolving a dispute. I have to say, the monastery scenes were by far my favorite. Dostoevsky manages to combine religion and politics in a way that is truly Russian. I especially loved how he developed the worshipers in their own way. Each was given a back story so that I could connect with them. So far, I am loving this book as much as I loved Crime and Punishment. While at first the names scared me, they have become so familar I don't even notice any more. Each character is so fully developed and unique that I don't need to focus on the names, but on what they are saying. I am looking forward to seeing how Dostoevsky works all of this out, and to see what happens to Alyosha. "In fact, I am even glad that my novel broke itself into two stories "while preserving the essential unity of the whole": having acquainted himself with the first story, the reader can decide for himself whether it is worth his while to begin the second. Of course, no one is bound by anything; he can also drop the book after two pages of the first story and never pick it up again. But still there are readers of such delicacy that they will certainly want to read to the very end so as to make no mistake in their impartial judgment," (4). "Above all, do not lie to yourself. A man who lies to himself and listens to his own lie comes to a point where he does not discern any truth either in himself or anywhere around him, and thus falls into disrespect towards himself and others," (44). "I've already told it to an angel in heaven, but I must also tell it to an angel on earth. You are the angel on earth. You will listen, you will judge, and you will forgive...And that is what I need, that someone higher forgive me," (105). Until next week, happy reading Dostoevsky! I had another post scheduled to post today, but after reading some of the comments about my musings on Virginia Woolf, I decided I needed to write an alternate post. So here we go. It seems as if Virginia Woolf is one of the more intimidating writers for someone to pick up and read. I have to agree. The first time I read her work, I just didn't get it. I had no idea what she was talking about and to be honest, it sounded a lot like rambling that had no connection to any kind of plot. It also didn't help that there weren't any chapters. I mean, 170 something pages of straight text is daunting. Characters jump in and out of the pages at random and I was left feeling utterly confused. So...Virginia Woolf. Yes, she is a difficult writer to understand and appreciate. Her works were revolutionary, and remain so. She wanted to challenge her readers with stories that on the surface seemed normal and mundane, but were told in a way that would capture the imaginations of her readers. Some people got what she was working for, and many did not. The best way I can explain how you should approach Woolf is this: Don't think about it. The more you think about how the story is confusing and twisted and all over the place, the more lost you will become. Instead, you need to sink into her writing-let it envelope you and tell you the story in its own way. You can't rush it, or think too hard or you'll lose it. You have to let it wash over you, the words enter your mind and direct you along the path of her characters. Only then will Woolf make sense. Only then will you understand why she is one of the most influential writers and how her art-her writing-has changed the literary world. In today's contemporary market, we are used to being told a story in a straight forward manner. There is a clear plot, a problem, distinct characters, and an eventual resolution. In many cases, we don't have to work to understand the story in front of us. It merely "is." 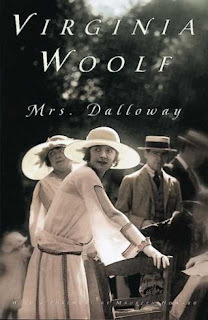 In books like Mrs. Dalloway, we are inside the story so much deeper than we are in another kind of novel. We become part of the characters. We know what they know. We reminisce inside their heads and understand their struggles as they happen. We don't know the solution, or if there will be one. Like her characters, we as the readers are just trying to make it through day by day, not knowing if there will be a happily ever after, or a conclusion. I suppose you could compare it to living your own life. You know that there will be an eventual end, but the steps and path you take to get there are unclear. You can only see what is presented to you, and must accept that. 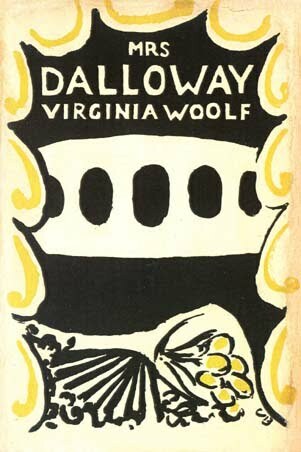 Mrs. Dalloway is only about one day in the life of Clarissa Dalloway. She spends the day in preparation for a party she is throwing that night. As she goes through the motions of her day, she remembers people and places from the past. The narrative transfers to other characters as they also struggle with memories and thoughts leading up to the party in the evening. All of the characters highlighted seem to come to terms with their pasts, and how their choices and decisions led them to that moment. The climax and ultimate solution is how Clarissa ultimately comes to terms with the life she has led and where her life is going. It is a simple enough story, one that we have all read before, but it is the way that Woolf weaves her tale that makes it so powerful. If you are looking to try something by Virginia Woolf, this is as good a place as any. Just don't think too hard and get frustrated. Let it be and let the words sink in slowly. Book 34: Stream-of-Consciousness and Virginia Woolf. I mentioned in my earlier post about Mrs. Dalloway that Virginia Woolf's style is hard to adjust to. I know from my own personal experience that I have to be in a right frame of mind to read Woolf (and Faulkner-I see huge similarities between the two). Woolf liked to experiment with stream-of-consciousness among other writing techniques, which is why her novels can be hard to get into. It almost seems as if everything is disjointed and nothing seems cohesive. It is only through a lot of concentration and letting yourself just go with Woolf's flow that it begins to be pieced together. I told a friend that in order to understand and appreciate this kind of writing, you have to think about how you think. I know that I can be sitting next to Matt on the couch having a conversation. While we are talking about one thing, my mind is racing. For example, I might mention to him that we need to buy more kitten food, and in my head I'll be thinking, "Well, we also need to buy new light bulbs, since I think we are out after I changed the one in the bedroom. I also really need to wash the duvet cover, but I should cook dinner first. But I don't think we have any onions left, which reminds me that the pantry is a mess." With that I will say, "I think you need to clean your stuff out of the pantry so I can re-organize the food items. To him, it is a complete jump in conversation, but in my own head, it makes sense. I found a logical connection between kitten food and cleaning the pantry out. That process all took place in my head. (And when we do have conversations like this, Matt always looks at me like I am crazy). Virginia Woolf just translates that everyday thing we all do and puts it on paper. It makes the reader uncomfortable since we are so used to reading things linearly and cohesively. Having a character flash backwards or forward is confusing and throws us for a loop, but makes perfect sense for the character. I think that is the biggest reason why readers new to Virginia Woolf find her difficult. It IS hard to change your perspective and get fully into a character's head. It is an intimate experience and hard to feel comfortable with. But that is one of the reasons why I love writers like Virginia Woolf. 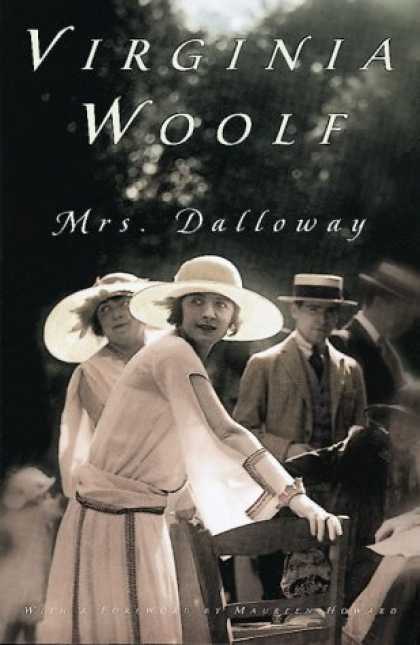 In Mrs. Dalloway, she is taking me into the head of Clarissa Dalloway and a couple other main characters. I get to see their memories, their fears, their every thought on what seems to be a pretty normal day. Things like mending a dress become the biggest tasks in this kind of writing style. I hope this helped explain a little. I know that just writing it out helped me solidify how I am feeling about the novel at this point (3/4 done), as well as reaffirm my love for this kind of writing.